Drunk Nothings: HAPPY FESTIVUS – IT’S FINALLY HERE! Laundry! Now the Iggles Household has moved quite a bit over the years. If my math is correct I’ve lived in 11 different places over the past 15 years. I like to move what can I say, I’m trying to stay one step ahead of the family so they can’t find me. Anyway, all except for one place I have had the same problem…..LAUNDRY! I’m almost speechless at what happens in the laundry room. The whole process is rather simple. Put the laundry in the washer, come back in 30 minutes and put it in the dryer, then come back 1 hour later and remove your clothes. Simple…..right? APPARENTLY NOT! When you start the washing machine it usually tells you how long until the cycle will be done. Even if it doesn’t, a safe bet is 30 minutes for the washer and 1 hour for the dryer. So please explain to me how you just leave your clothes in the washing machine after the cycle is done? And I’m not talking about a few minutes….I’m talking about hours or even days. It’s the same situation with the drying machines. How is this possible? Did you put the laundry in and then decide to go out? Did you just forget? Do you have absolutely no concept of time? If you decided to go out, then that just proves you are only concerned about yourself and are completely ignorant to anyone else. If you forgot, then your privileges as a human being should be revoked IMMEDIATELY! Are you that absent minded that you can’t remember what you did 30 minutes ago? If you can’t keep track of time I have a suggestion for you. When you walk back to your place set the timer on the microwave to 30 or 60 minutes. When the alarm goes off you know it’s time to go get your laundry. If you can’t figure out the timer on the microwave then you are an IDIOT and have absolutely no business living on your own and should move back with your parents as soon as possible. So how do we resolve this? Here are some simple rules. If you need to start laundry and there are no available machines because people have left there clothes in there I give them 10 minutes before I take out the clothes and leave them on the floor. And I will enjoy stepping all over your clothes while I put my clothes in the washing machine. The next problem is the drying machines…..this can get tricky so pay attention. 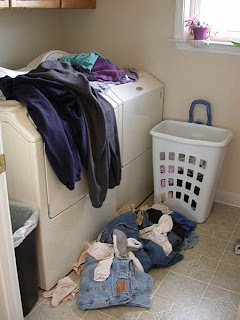 While you are starting the washing machine if you notice a dryer not running with someone’s clothes in it then they are free game when it is time to use the dryer. Same rules….clothes on the floor and step all over them. Now if the dryer is running you have to go back to the 10 minute rule. After 10 minutes you can have at it. VERY IMPORTANT: This entire maneuver is extremely risky. If you removed somebody’s clothes it would be a good idea to stay around. Because if the person comes back and sees their laundry on the floor there is a 75% chance they will take your laundry out and throw it on the floor. The other thing to keep in mind is if they show up while you are removing the laundry it could be a little awkward. So before performing this it would be wise to spy on the people using the laundry facilities to ensure you can take them if a physical altercation ensues. Other than that you should be ok. Thanks for paying attention and letting me vent. Pay the crazy Asians to do your laundry...Thats what we do at the Drunk house hold. 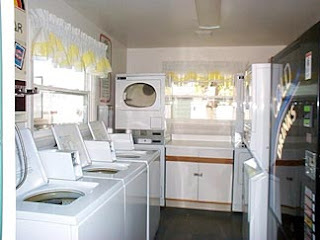 or you could get a place that has your own seperate laundry facilities. 11 places and none had the washer and dryer in the apartment?? ?